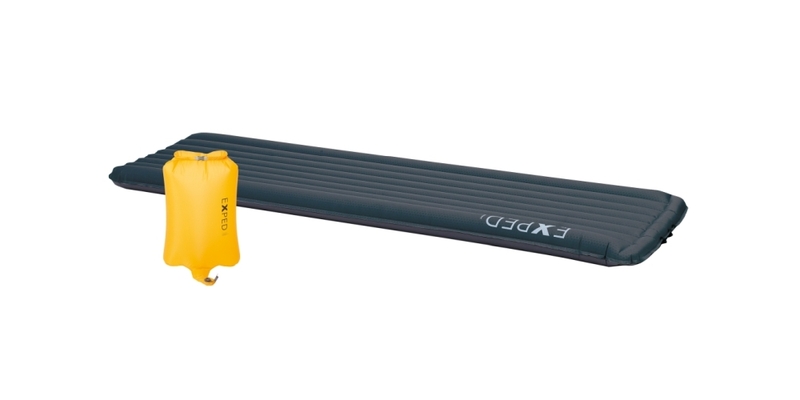 From next year onwards we will rent out Exped DownMat XP 9 sleeping mats. These mats have an R-value of 8 and are rated down to – 38° Celsius. With the help of the included pumpbag you can inflate this mat in no time and you won’t get humidity inside. To have the best possible sleeping mat is absolutely vital for a sleeping system that needs to work in even the most extreme temperatures. And that is not to say that at – 40 or colder this sleeping mat will guarantee you a warm and cozy night. You still need to have picked the right spot for your camp, be well hydrated, have the right liner and bivouac bag or tent. Your sleeping bag needs to be dry and you may need to build a wood fire. But if you do not have a good piece of insulation between your sleeping bag and the ground these temperatures will be dangerous and there is no way you will get any rest. For all the information on the product and the rental price please check out Rentals in our Service section.